For some reason, adoption has come up several times in conversation over the last few days. 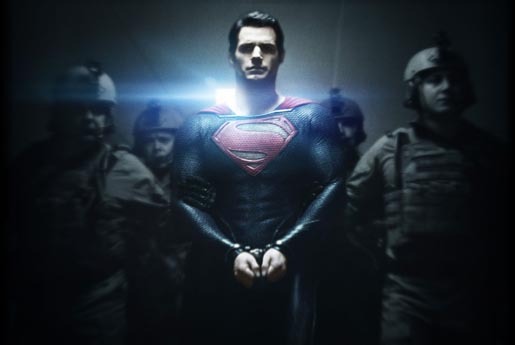 That was topped off with a sound byte I heard from an interview this morning about the new movie, "Man of Steel." The interviewer called it, "the ultimate adoption story." Really? I can think of a better one. The Son of God became man and came to earth as a helpless infant (Philippians 2: 6-8). He was raised by human parents who did not always understand Him and sometimes failed to support Him in His mission (Luke 2: 41-52; Luke 8: 19-21), but He loved them and cared for them, and they loved Him in return, even at the end (John 19; 25-27). His biggest weakness, as His enemy, Satan, saw it, was His love for people, including those who didn't know Him or love Him (Romans 5: 7-8), which brought Him to death on the cross (John 15: 1-14). He had a greater purpose, however, and the cross was part of that purpose. He wanted to make a way for all orphans to be adopted and to know His love, and the love of His Father in Heaven (Romans 8: 14-17), but that had to come through His suffering. He willingly accepted the cost so that He, and all the people He loved, could reap the reward. This means that His biggest weakness turned out to be His greatest strength (Philippians 2: 9-11), because through love and obedience to His Father, He defeated the ultimate enemy, death! Those who know Jesus and obey the Father will be called children of God, not orphans any more, never rejected or alone again. Now, how is that for an adoption story? Feel free to leave a comment on your thoughts about "Man of Steel" versus Jesus' story (how it compares and how it is different), or share your thoughts about your own "adoption" story. I'd love to hear from you!